React is gaining popularity among developers as it eases the procedure to create interactive UIs. Some of the notable React websites include Facebook Messenger.com and Instagram’s Web Application. React lets developers design views for each state in their application using a simple approach and React updates and renders the correct components when the data changes. It is not wrong to speculate that React JS is most likely to overcast webpage designing and below you can find a few reasons why it is inevitable. React brings forward a pool of tools surrounded by an easy learning curve. React can be termed as a simple and small library that deals with the view layer of development. Any developer who wishes to try his/her hand at React can start developing after a few tutorials, many of which are available online. React doesn’t make use of Shadow DOM but it gives the developers the facility to build their own components that can be reused, combined and nested later as well. This gives a productivity boost to the developers and the biggest feature of React JS is the ease of defining and manipulation of the components. React offers the developers numerous tools, one of which is their all helpful official React Chrome extension. It makes debugging a breeze and once you install the extension, you have a bucket of features at your fingertips. Once installed, developers can get a direct peep into the virtual DOM just as if browsing a DOM tree in the elements panel which makes it as helpful as it can be. React JS makes testing a simple process as React views are treated as functions which can be manipulated with the state to pass to the React JS view and take a look at the output and triggered events. One more feature of React is that it doesn’t uncover any complex internals to the user which provides a clean abstraction. You only need to understand a component’s life cycles, states and props to master React to accomplish everything you need. React enables fast prototyping which has been cited as a huge bonus by designers and developers. Quick prototyping not only gives developers more feedback opportunities but also helps them engage clients and customers sooner before code clusters it all. We encourage developers to check React JS out for your next project or even for a side project. 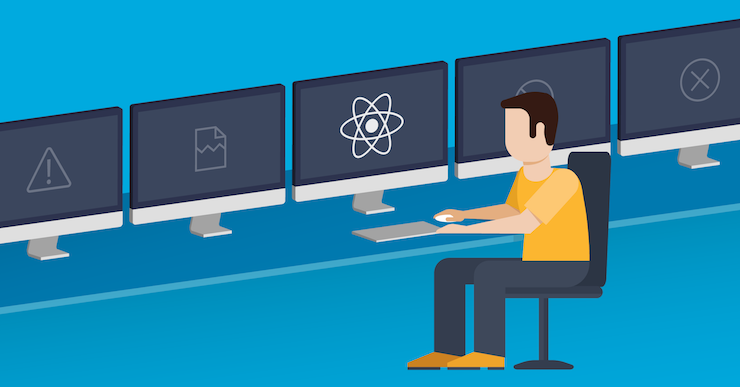 React JS has proved to an extremely flexible and useful tool for developers. With the pool of features, it provides, React JS is most likely to overcast webpage designing in the near future. Even the internet provides a number of React JS tutorial from where you can learn the ins and outs of this Facebook’s prodigy framework.